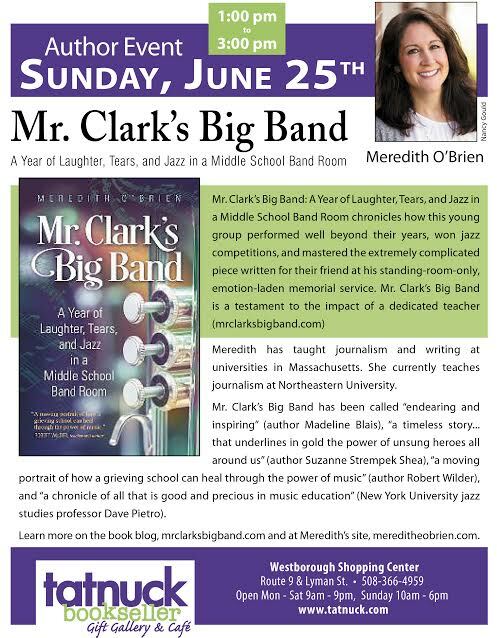 The newspaper for which I used to be a reporter, The Republican (in Springfield, MA), was kind enough to run a large piece about Mr. Clark’s Big Band. 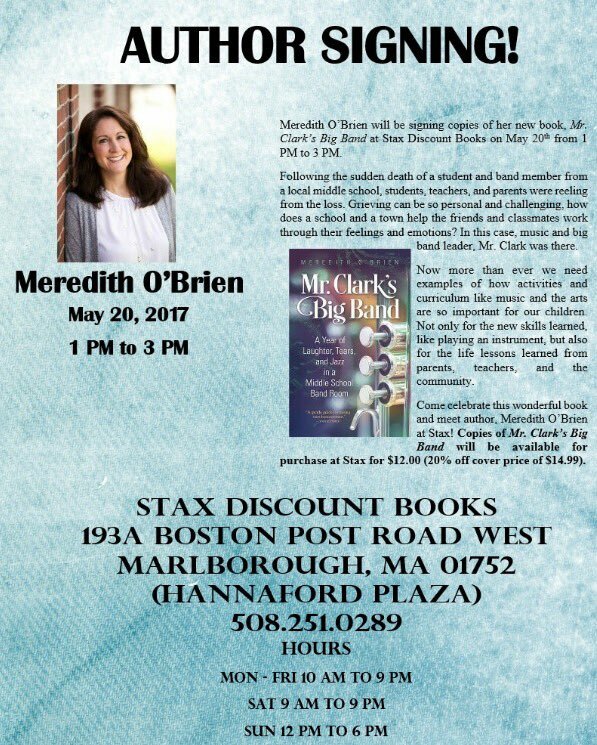 When Meredith O’Brien’s son, Jonah, was a seventh-grade drummer in the Trottier Middle School jazz band in Southborough, 12-year-old trumpet player Eric Green died in his sleep from an undiagnosed heart ailment. The members of the jazz band were shaken to their core. From the throes of his own grief, the Trottier Big Band’s director, Jamison Clark, became the children’s guide, their catalyst for healing. 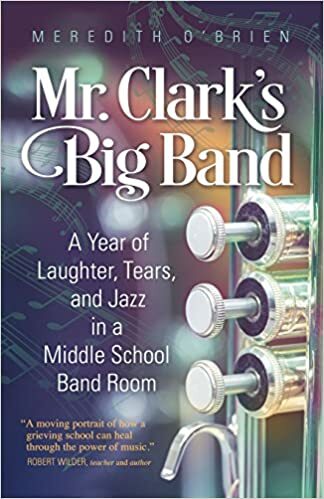 With a face resembling Santa’s, coupled with eyebrow-raising antics ranging from bathroom jokes to poking fun at his own girth, Clark coaxed the children to pour their grief into their music through a challenging year of mourning.